Deb's Cup of Tea: Territorial? So the yard was mowed last week and, when I came home from work, I saw this. 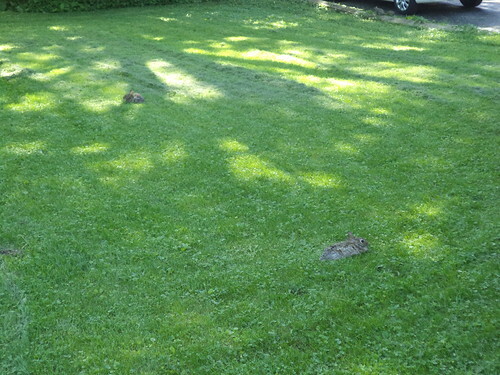 I'm not sure if this is a case of staking out one's territory or if they are planning for a rabbit convention. Usually, they will take off running when they see me, but these two didn't. Maybe they are getting used to seeing me come and go.